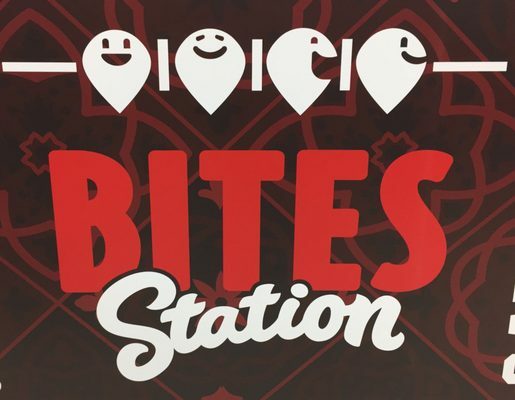 Bites Station is now open at Windy Hill Village shopping center on Windy Hill Road, just off Cobb Parkway. The eatery occupies a space to the left of the former Upton's which is today an Ollie's Bargain Outlet. Bites Station offers a number of economically priced menu items starting at $1 and topping out at nine bucks for the "Big Bite Burger." A new sports bar, Empire Sports Bar, plans to join Bites Station, Blue Moon Pizza and a host of other tenants in the Windy Hill shopping center. The eatery is expected to open in the coming weeks. Rize Artisan Pizza + Salads opened its first ever location this Monday Tuesday at 675 North Highland, a new apartment complex in Poncey-Highland. A second location is expected to open within the next 90 days at Hammond Drive & Roswell Road at One City Walk Square One in Sandy Springs. Charleston, South Carolina-based Asian fusion restaurant, CO plans to join Rize at the 675 North Highland development. CO will offer a "uniquely inspired" Pan-Asian menu, serving banh mi, pho, ramen, dumplings, as well as sushi and signature cocktails. CO will be open seven days a week for lunch and dinner. The first CO opened four years ago in Charleston and they have since expanded to Myrtle Beach, Savannah, and Charlotte. The 2,965 square foot restaurant will be located in an end space, at the northern end of the complex, opposite Rize. CO is currently scheduled to open next spring. Brunswicks in Marietta on Delk Road, and in Norcross on Spalding Drive are both being rebranded as Bowlero. Parent company Bowlmor AMF previously rebranded an AMF in Columbus under the Bowlero moniker and is also in the process of doing the same at the Brunswick Zone XL in Kennesaw. According to the Bowlero website the Norcross & Marietta locations will debut December 10th with Grand Opening celebrations that will include "free bowling, arcade play, giveaways and more." The Kennesaw location, which is not yet on the Bowero website, is expected to make its official debut in January. Atlanta's Buckhead Life Restaurant Group is now offering delivery via Postmates. As of now, a diner may order from Atlanta Fish Market, Bistro Niko, Buckhead Diner & Chops Lobster Bar with delivery promised in under an hour. Serious Tennis has closed at Abernathy Square at the corner of Abernathy & Roswell Roads in Sandy Springs. Beverly Hills-based Dr. Tattoff has closed its Atlanta area location at Buckhead Triangle in Buckhead. The 2,600 square foot space was created when the neighboring FedEx Office downsized in 2012. Dr. Tattoff opened in early 2013 and closed recently. 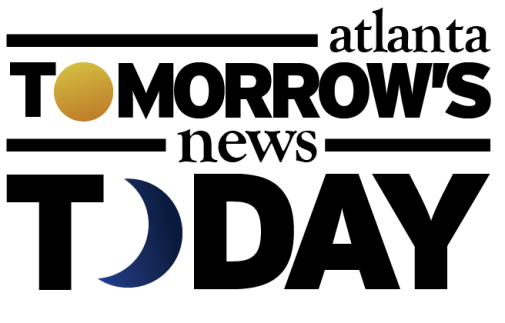 The chain had expanded across the country, including three locations in north Texas, all of which closed earlier this year, leaving many customers out thousands in prepaid services. There are still four Dr. Tattoff locations in southern California. Golfsmith Xtreme to close at Akers Mill Square. This marks the second closure at the center due to bankruptcy this year following the closure of Sports Authority over the summer. The golf retailer is offering up to 30% off original prices of all in-stock merchandise. A second Atlanta area location on Venture Drive in Duluth has already closed. 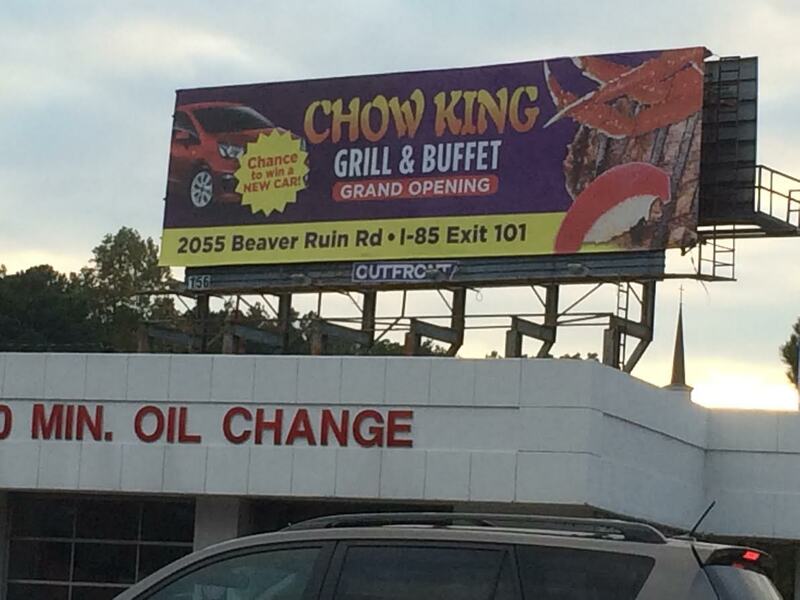 Chow King Grill & Buffet, which opened their first Atlanta area location last month in Gwinnett, is planning to debut a Marietta location early next year. The Marietta location is located in the Best Buy anchored The Promenade shopping center on Cobb Parkway. The upscale Asian buffet offers Korean, Chinese, Vietnamese and American cuisine, including pizza, crawfish, sushi, soup and dessert. Other seafood includes snow crab, oyster and flounder.  The restaurant has a number of billboards around town, among them one at the corner of Briarcliff & Clairmont Roads, far from either the open or upcoming location. The billboard announces the "chance to win a new car." MidiCi - The Neapolitan Pizza Co., an Encino, Calif.-based restaurant chain has plans to expand in Georgia. The first Atlanta location of MidiCi is planned for Midtown’s 999 Peachtree building. A second location is being proposed for an existing single story building at 872 Atlanta Street, not far from historic downtown Roswell. Other locations are planned for Alpharetta, Buckhead, Buford, Duluth, Kennesaw, Lawrenceville, Mount Bethel (East Cobb), Norcross, Perimeter & Savannah North. Metro Diner is now open in Roswell. Hi-Five Diner announced yesterday its last day in business will be November 13th. The restaurant, which opened early last year, was like its predecessor Villains, owned by Alex Brounstein of Grindhouse Killer Burgers. Record producer, rapper and former Love & Hip Hop: Atlanta star Raymond Scott, aka Benzino, plans to open "Benzino's Crab Trap" in place of Hi-Five soon. The seafood eatery hosted a preemptive "grand opening" event at the Hi-Five space last week. The original Benzino's Crab Trap opened on Delk Road last year and abruptly closed this past August. I seriously doubt that the rent and demographics of Midtown will serve Benzinio's better than its original home. As for Brounstein, he hinted at the possibility of reopening Hi-Five elsewhere, saying "we can’t make any promises, but there have been a lot of landlords interested, and we are evaluating our options." In happier news, Brounstein tells me that he plans to start construction on the new Grindhouse on Memorial Drive January 1st with a planned opening in the summer. Bowler rebranding was done last week in norcross. I drove by and did a double take. "In other news...ToNeTo Vancouver may be in the works..."
Delta is ready for you. Buh Bye! As someone who lives on Beaver Road (close to the Chow King Sign at Briarcliff and Clairmont), we were wondering if someone confused Beaver Ruin with Beaver Road. We used to get their mail all the time. Have fun with the tax rate in Canada! Please enlighten.. what is ToNeTo Vancouver?